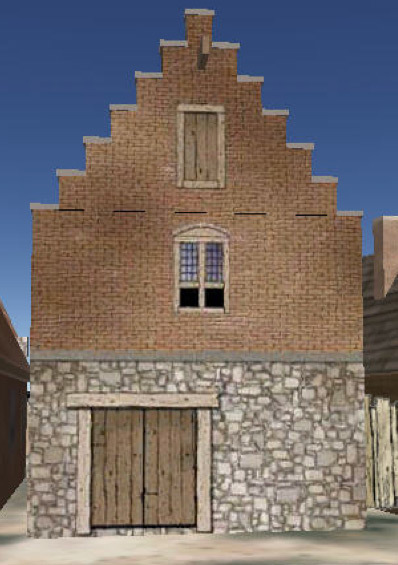 Govert Loockermans didn’t stay in the small Spanish Netherlands town where he was born in 1612. 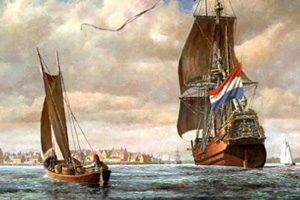 Instead, as one of the first of the millions who dreamt of new opportunities in a new land, he set out and became a founding father of New Amsterdam, the first chartered city in what would become the thirteen original American colonies. 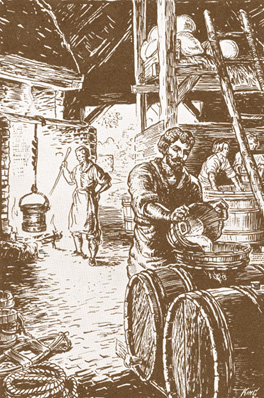 Illustration of a brewer at work. 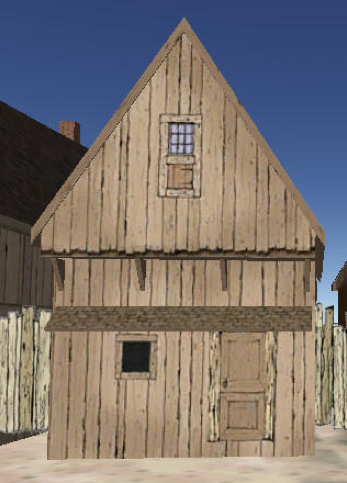 At the age of sixteen, he shipped off as a cook’s mate on a vessel bound for Manhattan. He arrived poor but was apparently well enough educated to quickly find work as a clerk with the Dutch West India Company. 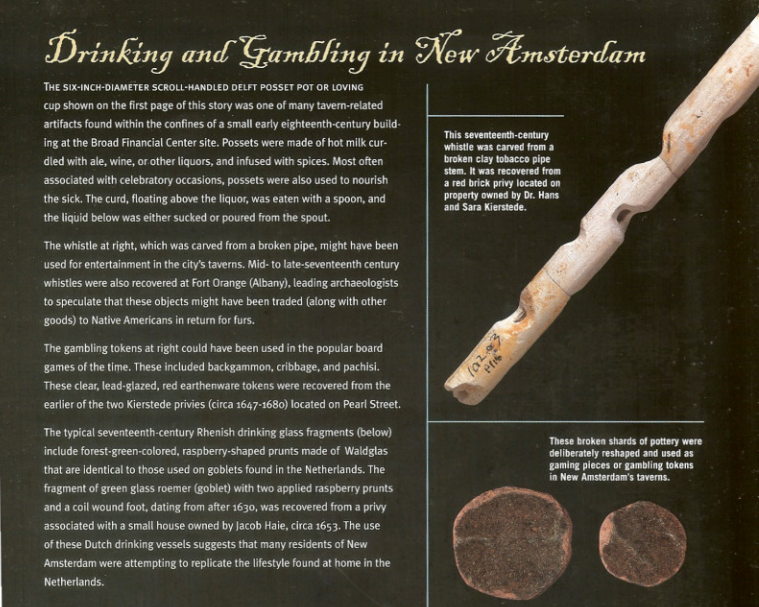 Learning much from his company experience, Loockermans traded successfully with the Natives and European settlements along the Atlantic Coast and leveraged his achievements into becoming the agent for a prominent Amsterdam trading family. Within a few years, Loockermans was one of Manhattan’s leading merchants, with houses, property, and even a brewery. But his prominence also placed him at the center of political controversy. 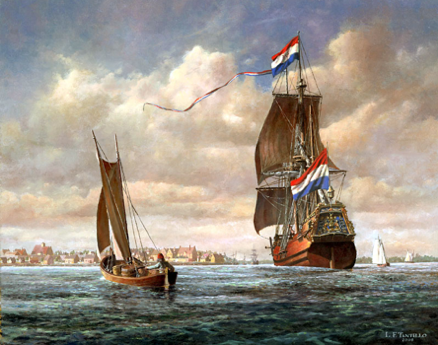 Loockermans and his fellow merchants were regularly in conflict with Dutch West India Company officials, challenging trade regulations and pushing for a more responsive local government. Ultimately, his efforts helped bring the first city government to New Amsterdam and Loockermans became one of its first magistrates. Cook’s mate, company man, citizen, founding father… such was the extraordinary path of Govert Loockermans. His energy helped shape a future society where a poor ship’s boy could become a city’s founding father.